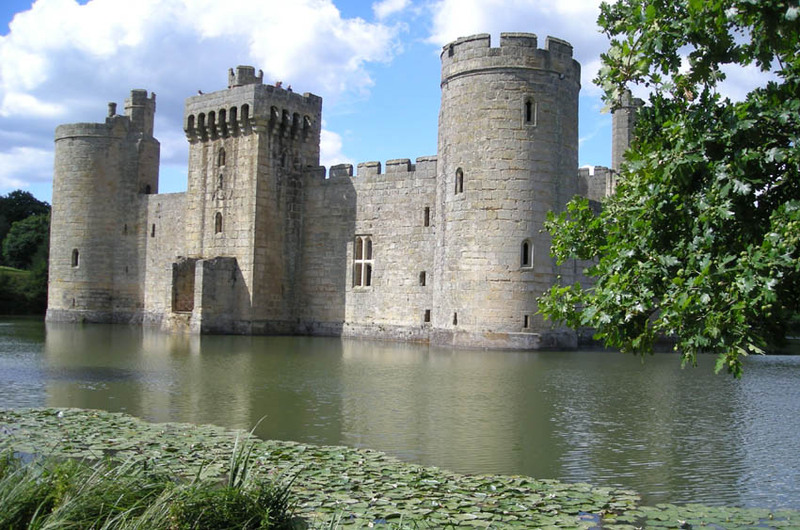 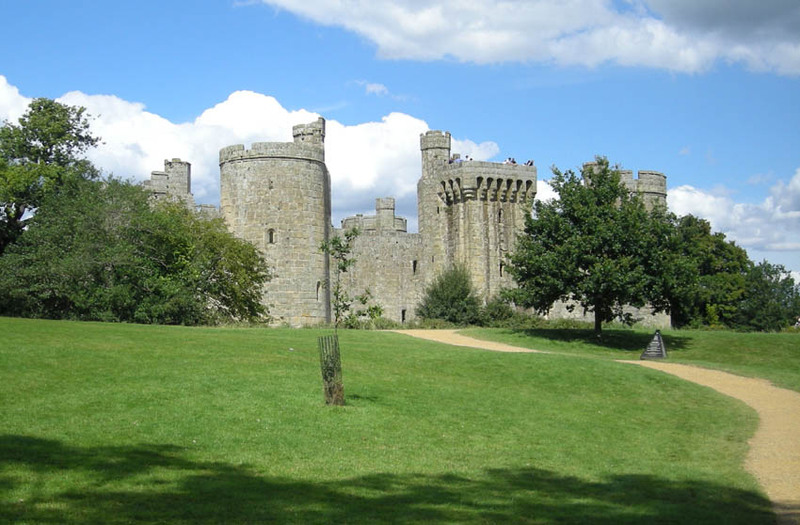 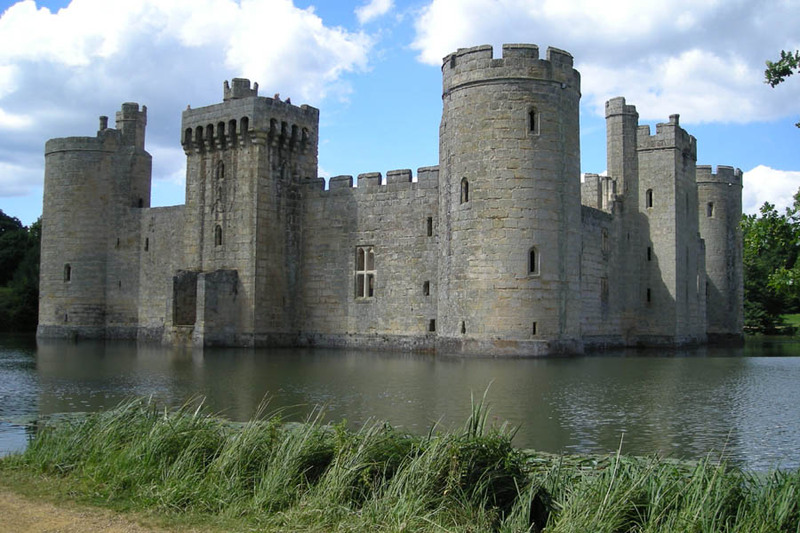 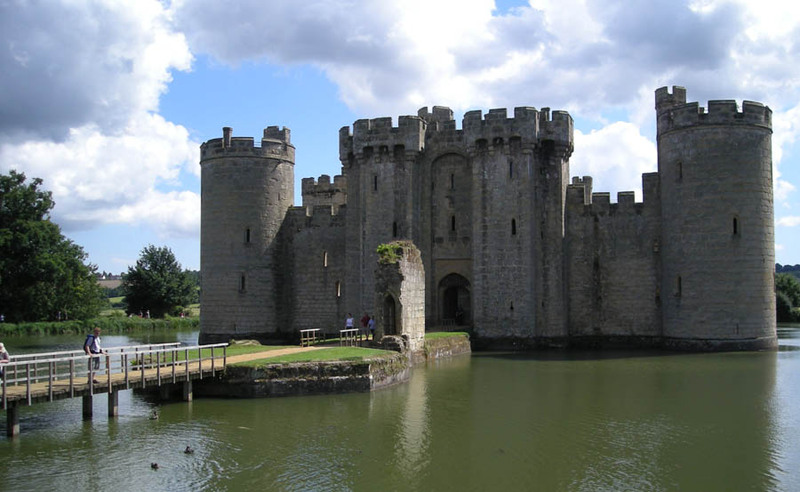 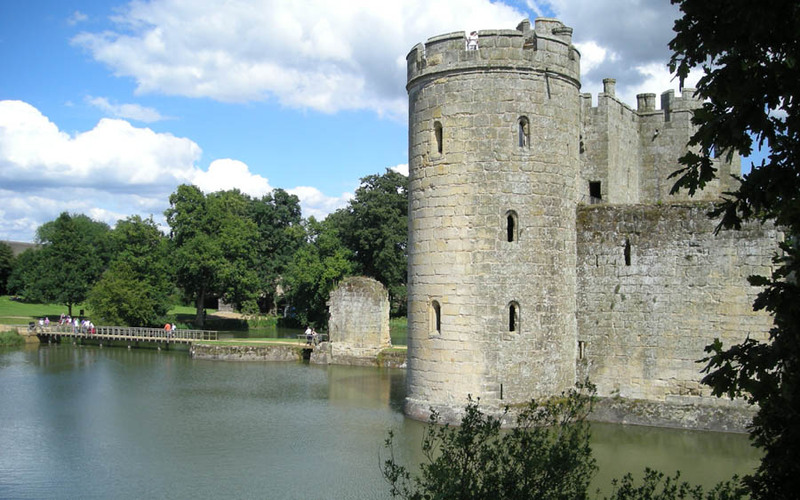 Bodiam castle was an important castle during the middle ages, but today it is abandoned. 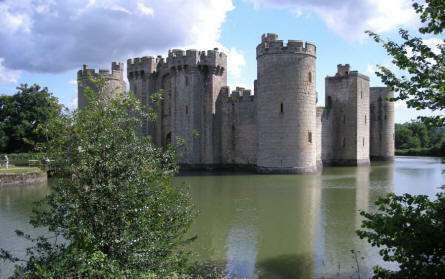 Inside you can still get a good impression of how the castle looked when it was still an active castle. The castle is located in a lake/moat with waterlilies - in a forest, which makes it look very romantic. The castle was build in 1325. From the car park the Bodiam Castle looks small and you can not see the lake or moat the surrounds the castle. 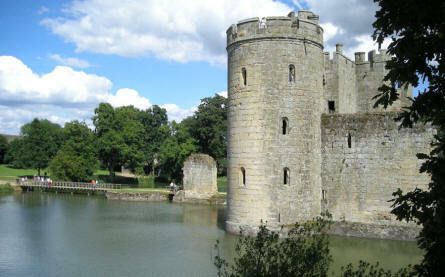 Bodiam Castle seen from the backside from the entrance.